Bill's Movie News and Reviews: "Zero Dark Thirty": do CIA agents really live like soldiers? "Zero Dark Thirty": do CIA agents really live like soldiers? “Zero Dark Thirty” (directed by Kathryn Bigelow [“Strange Days”; “The Hurt Locker”] and written by Mark Boal)) opened in general release (outside NY amd LA) today, and I saw if Friday afternoon at the Angelika Mosaic in Merrifield, VA, in a half-full weekday large auditorium. The film is shot in standard aspect (1.81:1), probably to take advantage of the many closeups, and it fits well on the large curved screen set up to be filled completely. The photography is very sharp, almost like VistaVision (is it 70 mm? ), and the night mountain visuals of the helicopters approaching Osama bin Laden’s compound are truly unearthly. Most of the middle Eastern scenes were actually shot in Jordan, according to the credits. The film really is the story of the young female CIA agent Maya (Jessica Chastain). What struck me as perhaps improbable is the idea that an intelligence analyst, working with computers, data, photographs and reports, would actually spend most of her time in the field, actually working with interrogators, exposed to physical danger almost like military personnel. I was also surprised to see so much of the interrogation done by civilians, starting out with Dan (Jason Clarke, who is appropriately mean and “barren”). 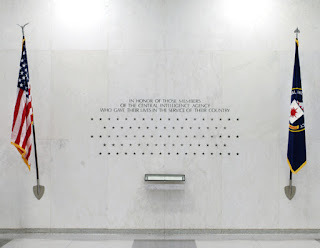 I have, having grown up and lived around Washington for much of my life, personally known a few people who work(ed) for the CIA, and I have the distinct impression that, “this is not how it is.” Yes, station chiefs do recruit locals to do their spying. But most of the work is far from the scene. Had I grown up in a socially more progressive climate (than it was in the 50s and 60s) I think I would have made a good analyst and found satisfaction from doing so. But, no, I could not have handled the manipulation of the interrogations. The film does indeed start with a blank screen recreating some of the morning of 9/11 (another reason that the Washington DC area should have gotten the film on Dec. 21, the same time as NY). Soon we’re in an interrogation chamber with Dan and Maya. It’s brutal. At one point, Dan says he’ll let a female see the subject’s “junk”. I have no opinion on whether this really happened; we know that McCain and some conservative senators have protested the rendition scenes (there is some waterboarding). There is no nice young man like Jake Gyllenhaal ruminating about watching his “first torture” (“Extreme Renditions”). Note: Coin Powell has told "Meet the Press" that the US military has not used waterboarding since 2003 (the year of the opening "torture" sequence). The movie has Maya (and Dan) jumping back and forth all over the world in unbelievable and untraceable fashion. (She even visits Area 51 near Las Vegas.) Eventually, they zero in on a particular courier (by "abusing" another prisoner and then backing off slightly). Maya reasons that Osama bin Laden would hide in a city so that he could direct attacks. Gradually, well-coordinated ground spying pins Osama bin Laden down to the well-known and crude compound in Abbottabad, Pakistan. The last forty minutes of the film recreate the actual raid in stunning detail. There is no attempt to show the activities within the White House and State Department that weekend, as they are really not part of the story. The raid, though, is like a pawn storm in a chess game. Osama bin Laden has been checkmated just before he is shot. He had indeed "castled" into the attack. I wanted to note the performance of Chris Pratt, as Justin from DEVGRU. At first glance, he looks too much like Dan, until you look more closely. Pratt played “Bright” in the WB series “Everwood” and Fox’s “The O.C.” as well as “Moneyball”. 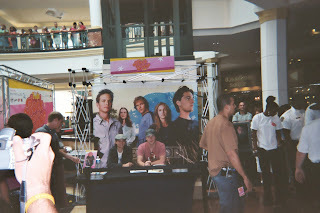 I met Chris Pratt in August 2005 at a public gathering with other Everwood cast members (notably Gregory Smith) at the King of Prussia Mall near Philadelphia. I do remember the day of Osama bin Laden’s death and President Obama’s announcement. I had heard through the grapevine that something was going on by Saturday morning. But when there were NATO attacks in Libya, I thought that Gadhafy would be assassinated, and that Obama’s announcement would be about him. It was Jeffrey Toobin on CNN who told us that the president would indeed talk about bin Laden. It is possible that domestic leaks, even among ordinary bloggers without clearances, could compromise an operation like this. People can put “two and two together” all too easily. The ZDT film bears comparison to the book “No Easy Day” by Mark Owen (Matt Bissonnette), in which the CIA analyst is called Jenny (as if from “Swiss Family Robinson”), Oct. 9, 2012 on the Books blog. It also should be compared to The Weinstein Company’s cable TV film “Seal Team 6: The Raid on Osama bin Laden” that was aired on National Geographic Channel Nov. 4, 2012 (and reviewed on my “Films on Major Threats to Freedom” or “cf” blog; follow the Blogger profile). But this subject matter needs the big screen to be effective. The official site for ZDT is here. The film, from Annapurna Pictures (link), is distributed by Columbia (logo) ), which is using its normal Hollywood brand, rather than Sony Pictures Classics (which could make sense since the “style” of filmmaking is very much that of large-scale independent film). It’s again interesting to compare this film’s treatment of CIA work to my own in my novel script “Angels’ Brothers”. I have my main character (who gets called back to intelligence from a job as a history teacher after leaving military intelligence) essentially hunting down the source of a bizarre disease that may have come from “the beyond” (a touch of “Andromeda” maybe); most people don’t know he works for the CIA, and he discovers the “secrets” in a “David and Jonathan” relationship with a precocious college student, in a way that “threatens” his marriage. It’s all subtle; there are no guns, no car chases, no recruiting, no renditions. In fact, there are only two overseas trips in all the globe-trotting. Instead, most of the intelligence turns out to be domestic, to go beneath a society that is falling apart, while the main characters network to keep themselves above the fray. And, yes, there will be aliens. 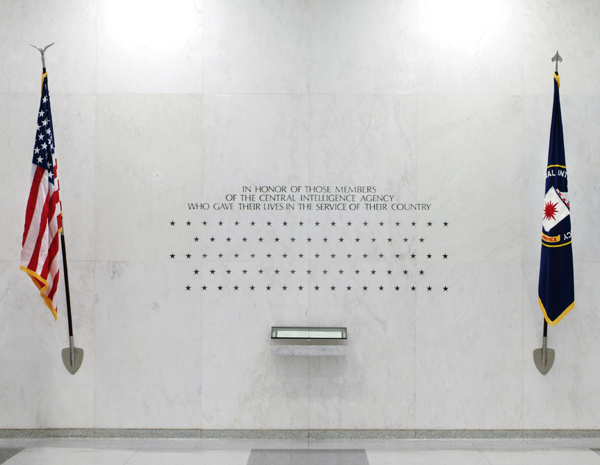 The CIA picture (of its wall honoring those who have passed in service) is in the public domain, from the Wikipedia article on the agency. The best account I can find of the Senate inquiry into the torture scenes appears Jan. 3 in the Los Angeles Times, by Ken Delanian and Steven Zeitchik, here. Contrary to urban legends and rumors, Sony does not appear to have made any cuts or changes because of the controversy. Sony says it delayed worldwide release until Jan. 11 to avoid too much competition (with "Miserables" ant others) Christmas week, and to write down marketing expenses in 2013. The feature at Angelika was preceded with a three minute short film from Hulu, "The Invisible Bicycle Helmet" (Frederick Gerkin), about an innovation from a young woman in Germany about a bicycle helmet that acts like an air bag. There were only two previews (thankfully). ZDK runs 157 minutes. Peter Bergen discusses Seymour Hirsch's claims about the hit on OBL here.